Its multiple advantages over other server side languages, Node.js inbuilt with a dependable package management system called NPM and its registry npmjs.org which is easily built and publish software and libary as packages. Node.js switch between different environments and languages is attributed to the drop of efficiency when writing software code. Node.js is contains less context switches. Node.js comes with a superior and dependable package management system called NPM and its registry npmjs.org and administered via the package.json file and version locally, unless lib installed with the -g option. Both PHP and Node.js are functional languages with a relatively later addition of OOP to PHP. Real-time apps building is just a breeze with Node.js stack of the Socket.io , Express.js frameworks. another full stack players are Derby projects, Meteor, which makes real-time apps building is taken one step further by combining front and back-end code bases with the persistence layer which reduces the complexity and speeds up the development dramatically. event driven programming in node js making web development to another level. Node.js is natural with NoSQL databases like MongoDB. The databases’ performances are comparable to each other and depending on the use cases as per MySql vs MongoDB performance benchmark(MySQL), Simple Test : MongoDB vs MySQL(MongoDB) and MongoDb vs MySql – However, MongoDB is superior and highly scalable for distributed databases and means.io has ready to use package of mango, express, angular, socket.io .NoSQL databases are secure and perfect for cloud computing, prototyping and agile projects. Due to a effect of non-blocking I/O, Node.js manage to handle multiple requests and make multiple requests as a client to a third-party services. (e.g., Twitter, Amazon) with just one thread of execution. 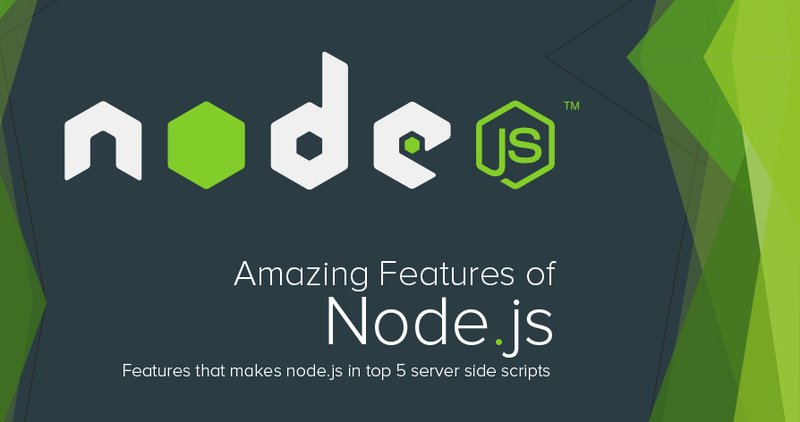 Node.js was created from the ground up for the network applications and there is a set of core modules to write web servers. To start a Node.js server: $ node . Note: In Node.js Multi-threading is absolutely possible with clusters and/or external modules. Node.js works nicely on PaaSs, with Heroku, Nodejitsu, Appfog, nodejitsu leading the list and also the cloud infrastructure company Joyent that developed powerful operation system SmartOS that allows for painless deployment ,performance bursts and DTrace debugging. 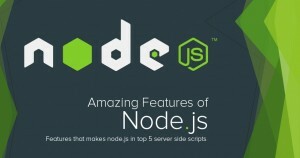 Node.js is extremely fast due to its non-blocking I/O mechanism and Google Chrome V8 engine technology. 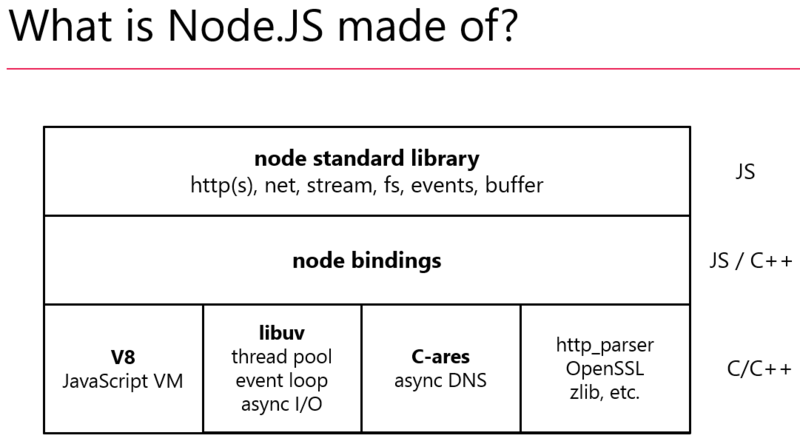 Node.js is platform for building applications. not a web application framework. It’s a It includes a set of tools useful in building web applications (such as modules for writing to the filesystem or making https requests). A generic piece of code which debugs/run in between several asynchronous functions calls is control flow function. For async processing, Node.js was created explicitly for more performance and scalability can be achieved by doing async processing on a single thread . Emphasizing on the technical point of view, it’s a bit of challenge in Node.js runs one process with only one thread to scale up on multi core server. We are nodejs programmer and developer team based in stratford London, If you and your company looking for real time web application developed with nodejs and mongodb then we are here to help you.